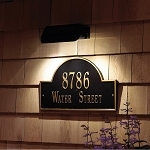 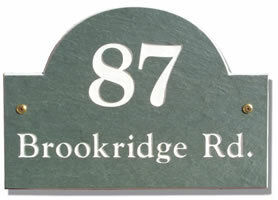 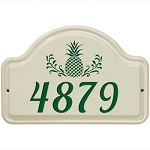 This address plaque is made of slate, a highly durable natural product that has been newly quarried in the U.S.A. 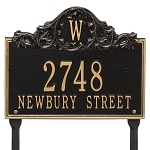 The plaque is finished with weather-resistant enamels. 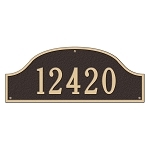 The Arch style makes this plaque both classic and unique. 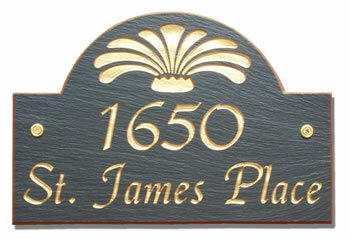 The plaque can be created with no design or you can add one of our decorative design options. 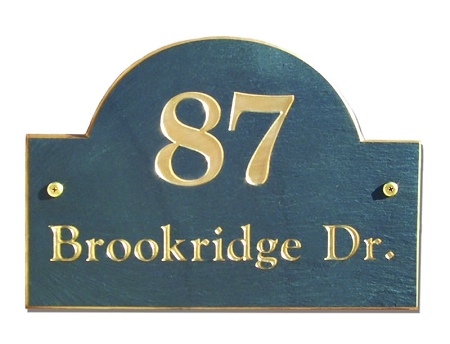 A decorative accent can be added at the top of the plaque.